Meet Abigail L. Dela Cruz. Abigail is a freelance and studio artist, living and working in the Philippines. 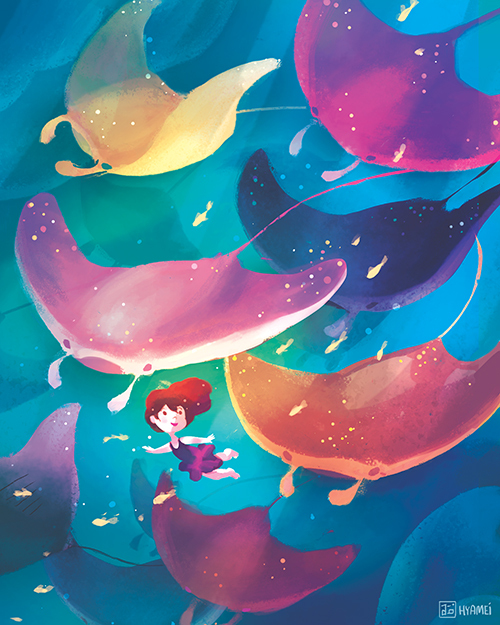 Her work includes portraiture, character design, and colorful and whimsical illustrations. We are excited to exhibit Abigail's work for the Animystics Show! Below you can see her work for the gallery, her lovable pets, and more information about her artwork. 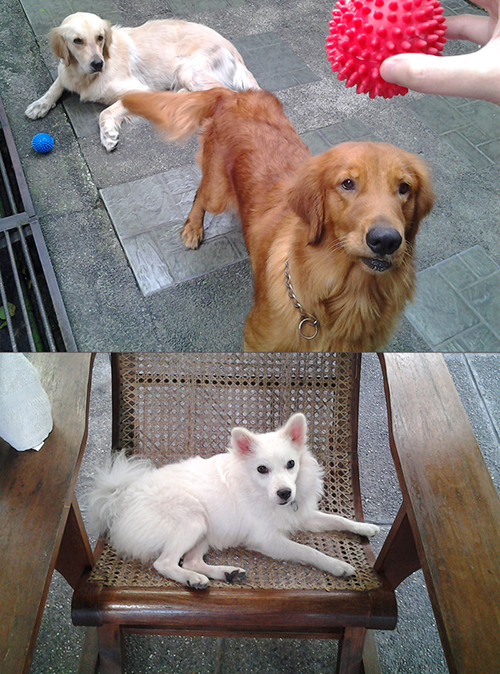 "My family members are mostly dog lovers as you can see, and these three lovelies take the spotlight! The three of them are a playful bunch! They never fail to brighten up our day." "These spirit animals represent the curiosity of a child's heart. They are concealed to most people, but those who still approach the world with childlike wonder will have a strong connection and ability to see them." This is a sneak peek of Abigail's work for the Animystics Exhibition. You can check out their work on the Light Grey Shop here, and you can see more of their work on their portfolio website here. All of the work for the show, all of the originals, prints, and handcrafted-works are available on the online shop, as well as on-site at Light Grey Art Lab! Proceeds will be going to local shelters, the Animal Humane Society, Feline Rescue, and Homeward Bound Dog Rescue- it's for a great cause! Proceeds from Abigail's work will go towards Homeward Bound Dog Rescue.